So, pretty much everyone around the iLTC offices knows about my obsession with the TV show "The Walking Dead". 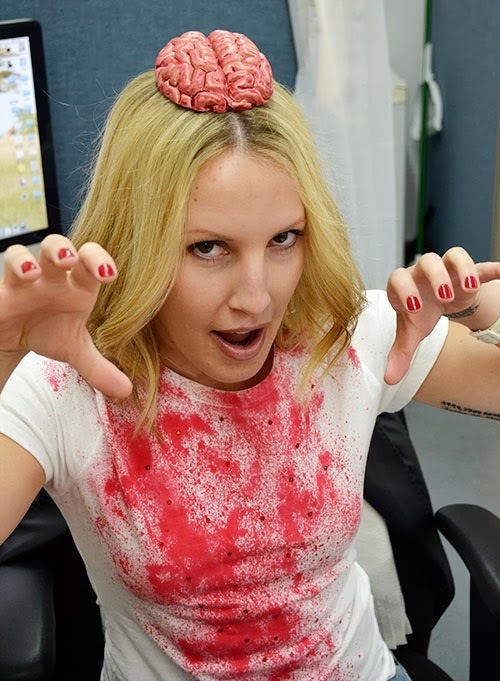 I've got my Walking Dead décor up around my cube, I've held tutorials with coworkers regarding the proper ways to put a zombie out of its misery, and with season 4 airing on October 13, I decided it's high time I have myself a bloody zombie hunter tee! I can't believe I never thought to make one until recently! 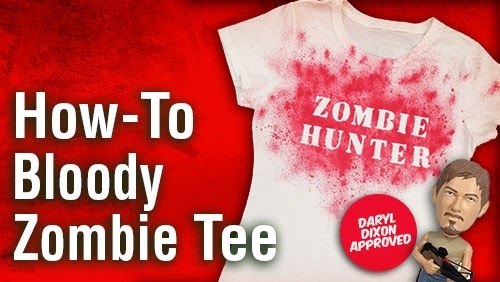 Check out my video tutorial to see how you can create your own bloody zombie hunter T-shirt, just in time for the premier of "The Walking Dead" ...Even better, it also doubles as a great shirt to wear on Halloween! I figure it doesn't take brains to make this project...ok maybe it takes some! LOL! I found a kit to grow your own Zombie Plant that Plays DEAD! Hi there! I am SO GLAD you like the shirt! And I am glad you are crazy about Walking Dead too! =) Yes, I think there is going to be lots of excitement in the new season, between this new illness that's sprouted up and the inevitable return of the Governor! (I hope they throw him to the walkers too!) LOL. If you end up making the shirt, let me know ... 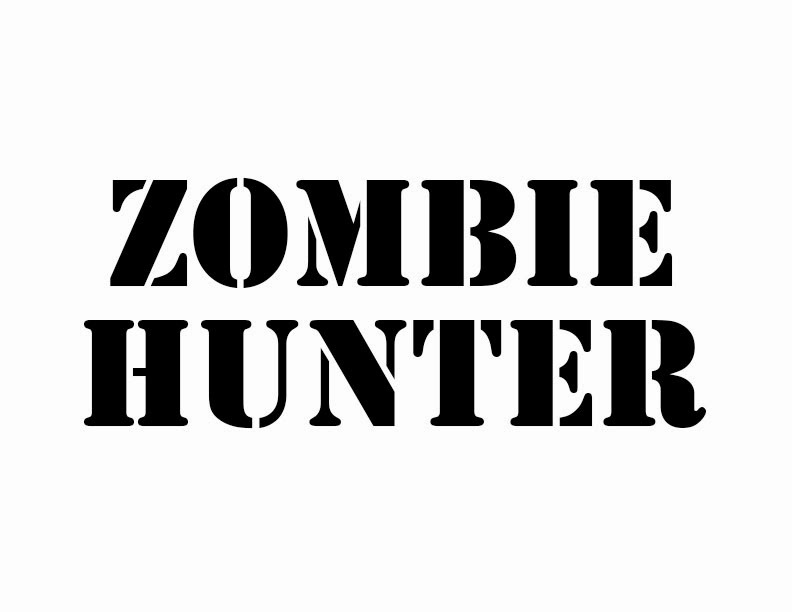 I would love to see you and your friends sporting some zombie hunter tees!